AfroTaino Productions emerged in 2005 as a result of their partners' combined expertise, passion for global arts & culture and commitment to serve as agents of change. AfroTaino brings over 50 years of combined experience in event production, audience development, intercultural marketing, and a vibrant array of campaigns in the public and private arena targeting multicultural audiences. Having built a strong track record amongst arts and culture & educational institutions, community organizations, media and corporate partners, AfroTaino Productions responsibly creates & curates memorable experiences for audiences that desire 21st century relevance. 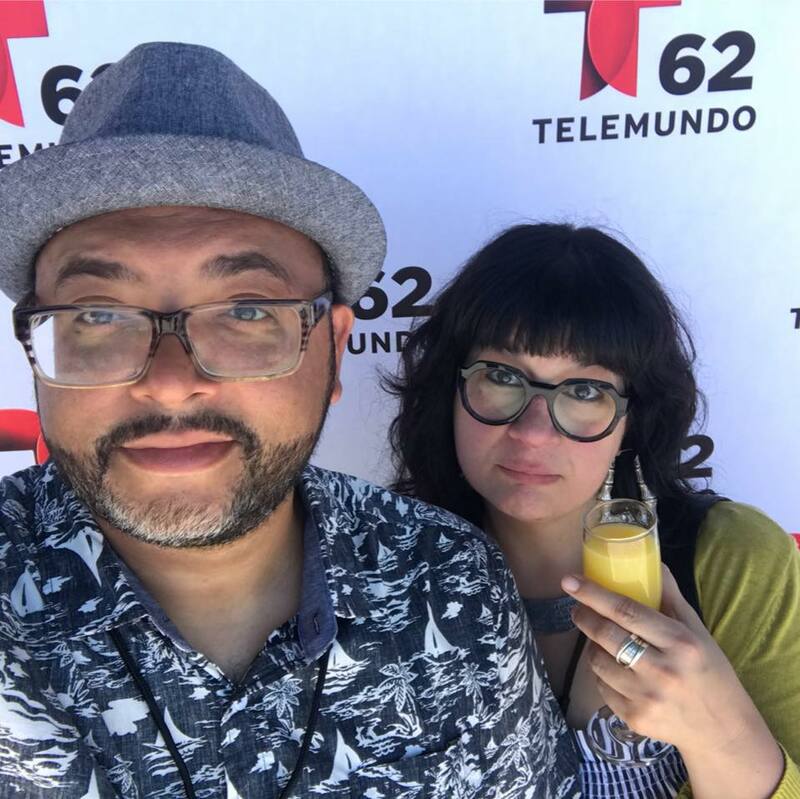 Past clients & collaborators include the National Council of La Raza, Mural Arts Program, National Public Radio (NPR), Bank of America, Greater Philadelphia Film Office, MTV Tr3s, Barnes Foundation, the Grammys (NARAS), to name a few. Our work within the music industry has enabled our team to work closely with a wide range of acts, producers and other key resources. Our diverse and progressive taste has given us the ability to spotlight & introduce artists to new audiences. Acts like Calle 13, Bomba Estereo, Manu Chao, Casuarina, Antibalas, Chicano Batman and Ana Tijoux, are just a handful of acts that have collaborated with AfroTaino Productions. The core of thinkers and do-ers that comprise our team continue to evolve the company's repertoire through numerous creative partnerships and collaborations. Marángeli Mejía Rabell is a Puerto Rico-born, Philadelphia-based creative and community development strategist whose work focuses on strategic alignment, cross sector partnership development and collective impact. Her professional philosophy is centered on her commitment to the community’s educational, professional and personal growth, cross sector collaborations and utilizing arts & culture as a tool for social change. She serves as the Director of Community Economic Development at the Village of Arts and Humanities. Her work explores the intersection of arts and culture and economic development through efforts and collaborations in areas of commercial corridor revitalization, workforce development, entrepreneurship and the creative economy. Through her work with AfroTaino Productions, she has served as a resource to brands & corporations, co developing and executing comprehensive campaigns/special events and producing arts/culture programming with conciencia. AfroTaino Productions brings over 40 years of combined experience in event planning/execution, audience development, promotions/marketing and special events/campaigns in the public and private arena targeting multicultural audiences. Marangeli serves as the Philadelphia Latino Film Festival's Director. PHLAFF's programming focuses on promoting and celebrating the richness and diversity of Latin American/Latino cultures and experiences and to foster cross cultural understanding and dialogue. She also serves as the Community Engagement Strategist for Temple Contemporary's reForm Project led by Pepón Osorio. The reForm Project focuses on an installation specifically addressing the loss of the Fairhill Elementary School in North Philadelphia and related programming. Marángeli’s work as an actor, teacher, facilitator, organizer, consultant, curator, programmer among many others has supported her in developing a unique approach focused on collaboration and a social capital development process. Marangeli is about maximizing on opportunities, synergies and getting it done with sabor…siempre. Rahsaan Lucas is a NYC-born, Philadelphia-based arts/culture resource building bridges in the 21st Century via cross sector strategic partnerships. Through his multicultural marketing & entertainment solutions firm AfroTaino Productions, he has co-developed cross-cultural strategies for brands & corporations, executed comprehensive campaigns/special events and presented internationally-praised talent in some of the best concert halls & venues on the East Coast. His experiences in the music, nightlife, brand marketing, educational & performing arts industries, combined with vision & drive have shaped Rahsaan into a resourceful creative professional, always adaptable in our ever-changing business landscapes. He works a lot; he likes it, and he is good at it (so he has been told): arts curator, talent manager (A&R), writer/blogger, marketing adventurer, DJ & music producer, travel trend-watcher, soundscape designer, voiceover artist, stage performer, vinyl collector, cultural griot, CEO-in-jeans. But he doesn't do it all by myself: he is a solid team player too, focused on the best results. Rahsaan is always exploring new ways of melding artistic expression, progressive cultural trends, and win-win business opportunities into fun, unforgettable moments that make us all better people.